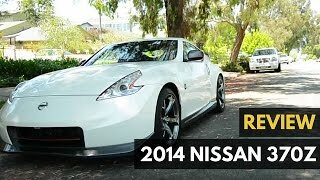 Nissan has unveiled the 2014 Nissan 370Z Nismo along with the GT-R Track Edition and Juke Nismo at the 2013 Chicago Auto Show. 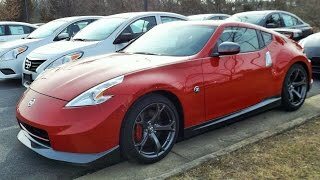 The 2014 Nissan 370Z Nismo features new exterior color with dark grey accents and red stripes. 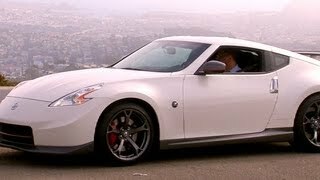 It will join the Juke Nismo in Nissan showrooms this summer and will be available in 370Z Coupe and 370Z Roadster models. 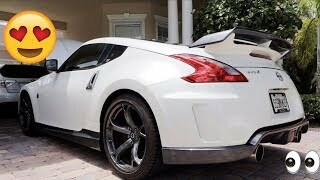 The 370Z Nismo will be powered by an advanced Nissan FM (Front Midship) platform, refined 4-wheel independent suspension and 3.7-liter DOHC V6 engine with Variable Valve Event and Lift Control (VVEL) rated at 350 hp @ 7,400 rpm and 276 lb-ft of torque @ 5,200 rpm.